Categories: Puzzles, Word, Family, For Kids, Men, Women, International, Sunday Only. Teleword is built manually, without computer-assisted shortcuts. 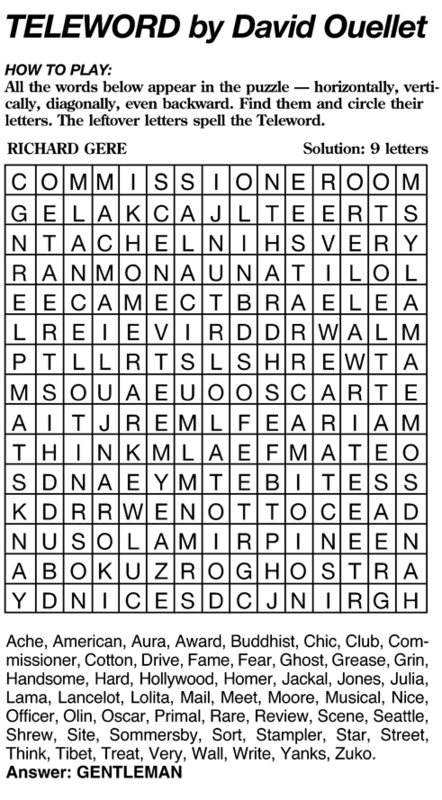 Each uses every letter in the grid, and all of the words in the clue list are related to the puzzle's theme title. The millions of people who have tried their hand at Teleword over the years find them a true test of their "word power."